An unlit stairwell doesn’t just have potential as a spooky scene on the set of a movie, but as a slip and fall accident site. You would be surprised at the number of calls paramedics in the US alone receive every day from unfortunate victims of poorly lit stairwells. Fact is, it’s not just stairwells. 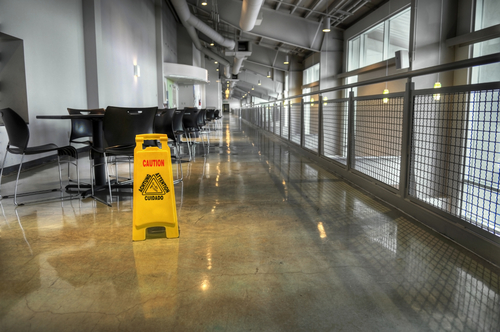 Virtually any material negligence or oversight can lead to life-altering slip and fall accident for unsuspecting victims. If you or someone you know has just suffered from a serious slip and fall accident, it is important that you get an attorney to come to evaluate your case and help you get justice to be served. Such attorney has to be someone who is well skilled in the art of representing slip and fall accident victims with a proven track record of excellence. In this regard, there’s just one name that comes to mind for those in Anaheim, CA and its surrounding areas, and that’s Rawa Law Group. We are a distinct law firm that has proven for over two decades that it is indeed the team of attorneys that have their clients at heart. Our practice and successive wins have led to the deliverance of settlements worth hundreds of millions to our clients through the years and we would like to do same for you. Take advantage now of our free consultation sessions and have a professional slip and fall accident attorney in Anaheim, CA help you win your case. Reach us via the address below. It would be a delight to hear from you.